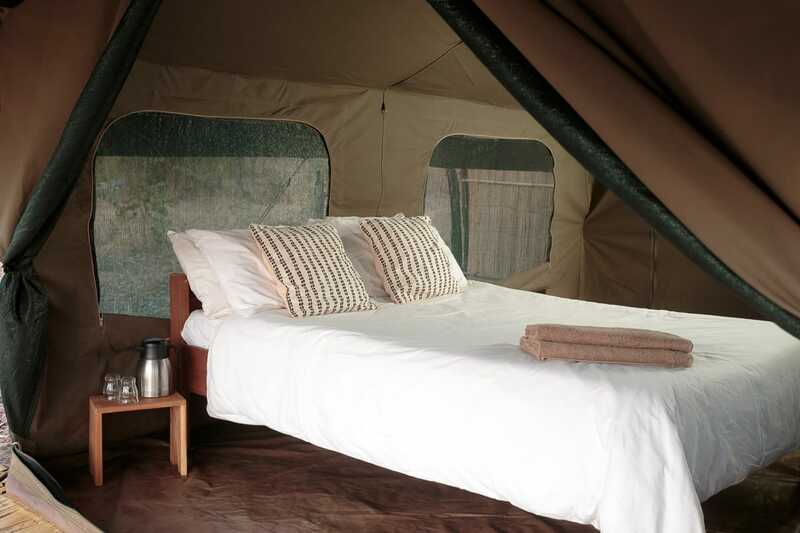 The camp is surrounded by pristine grassy plains and ancient forests. 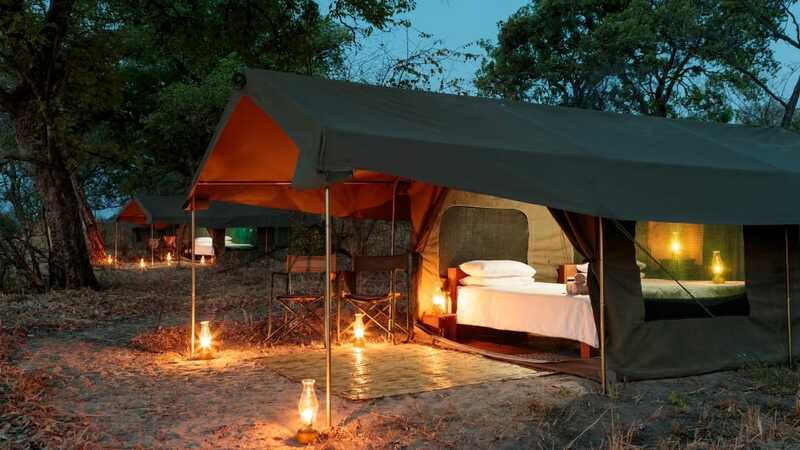 This is one of the least known but most rewarding game viewing areas in the South Luangwa. 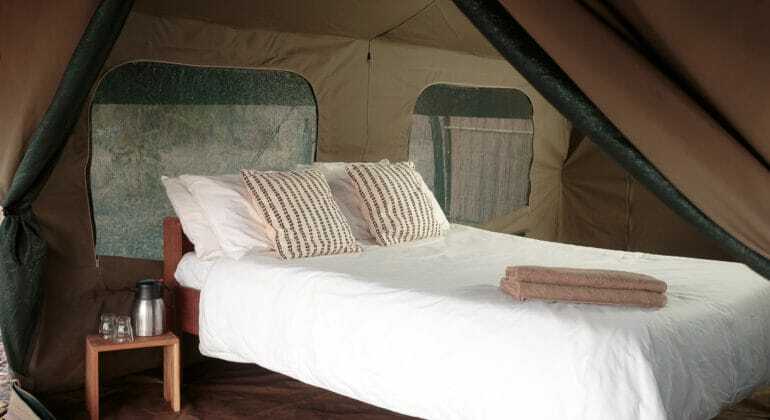 The authentic walk-in safari tents are the perfect mix of back to nature charm and serious safari comfort, each offers an open-air en-suite bathroom, wooden framed beds with white cotton bed linen, canvas safari seats and solar lighting. 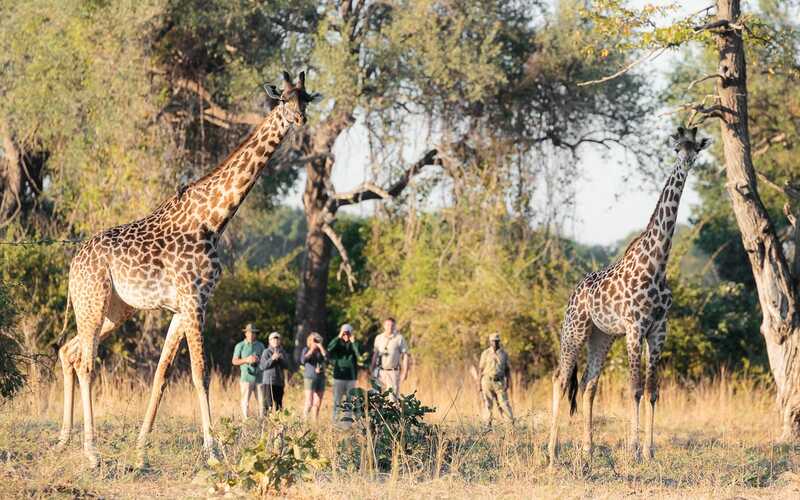 Dedicated guides and their team is full of life and bursting with pride! 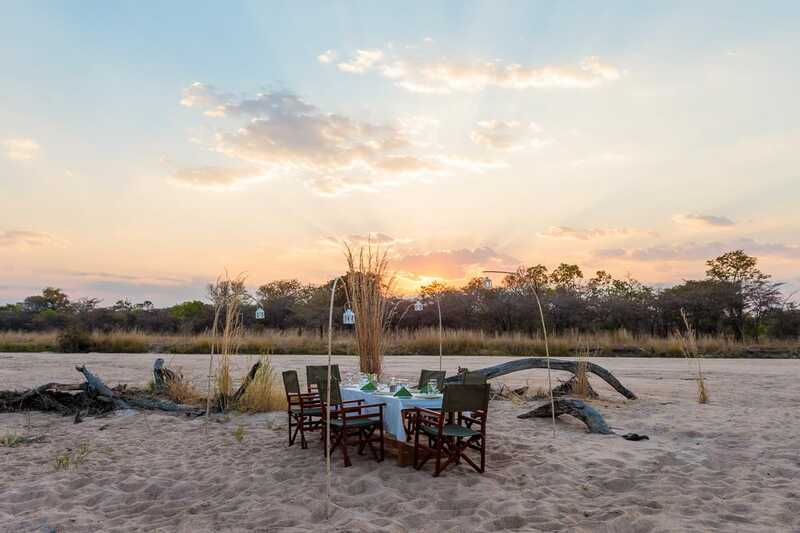 Gavin Opie is the safari guide who is the ‘Jack of all Trades’. 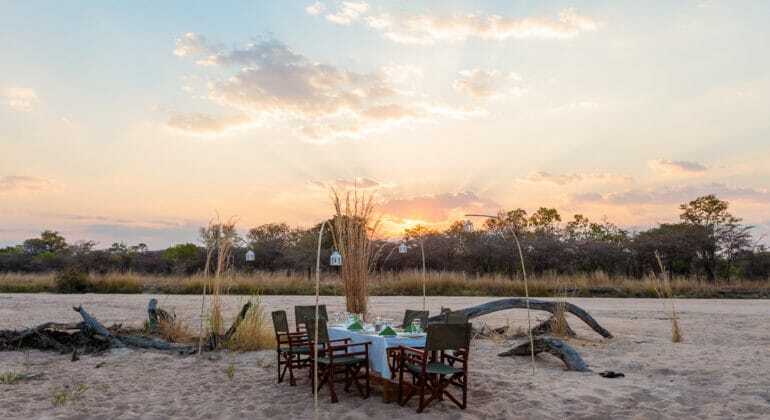 Gavin Opie Safaris help fill a niche in the South Luangwa National Park in Zambia for high-quality, all-inclusive safaris that were affordable and accessible to visitors with all budgets. 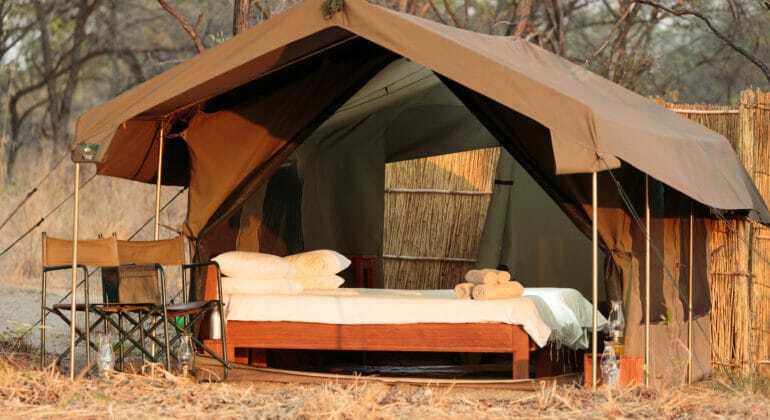 WHY CHOOSE NKONZI BUSH CAMP? 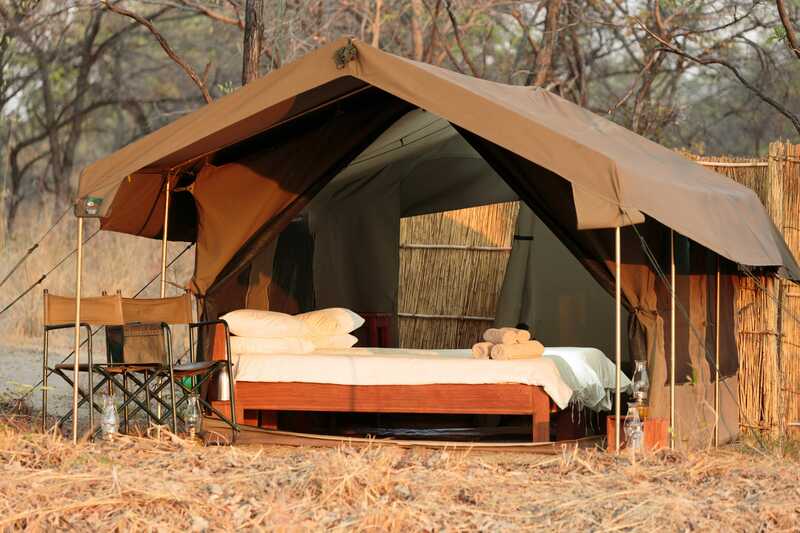 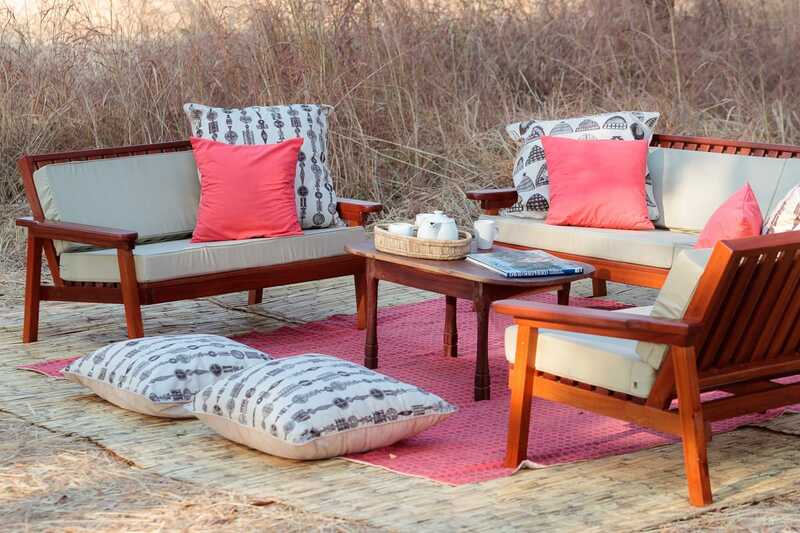 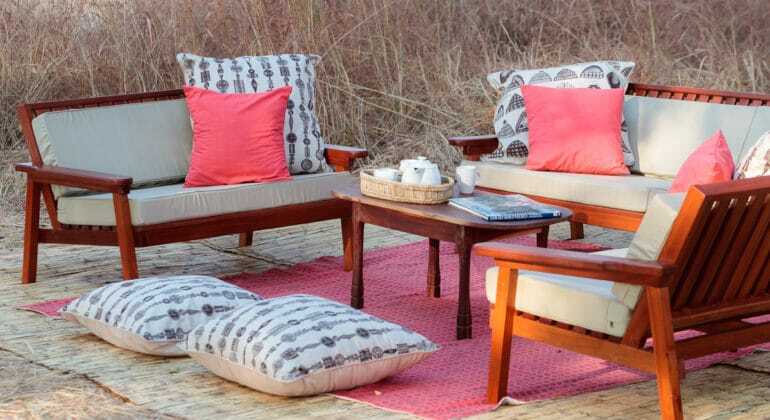 Here you will experience the romance of a safari under canvas. 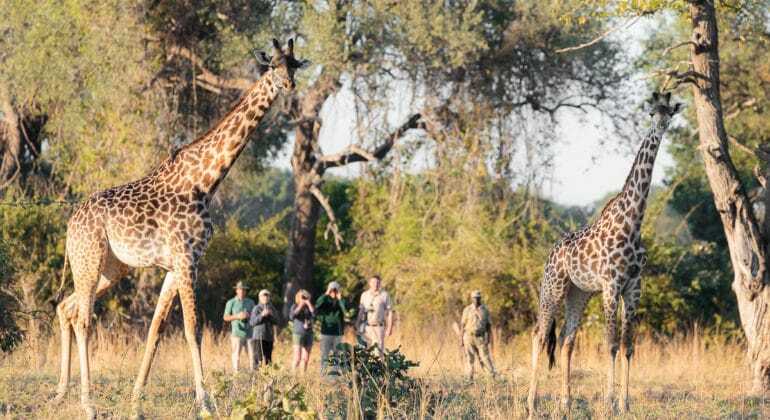 Our walking safaris begin and end at camp, while our game drives can head north, east, south or west into untouched wildlife habitats. Nkonzi Bush Camp rates include: Transfers to and from Mfuwe Airport, all meals on safari, all accommodation at Nkonzi Camp, all activities, all national park entry fees and bed night levies, tourism taxes, service charges, laundry, sundowners and a complementary glass of wine with dinner.